“Santa Monica” redirects here. For other uses, see Santa Monica (disambiguation). Downtown Santa Monica, as seen from the Santa Monica Pier. Nickname(s): "SaMo", "People's Republic of Santa Monica"
Santa Monica is a beachfront city in western Los Angeles County, California, United States. Situated on Santa Monica Bay, it is bordered on three sides by the city of Los Angeles — Pacific Palisades on the northwest, Brentwood on the north, West Los Angeles on the northeast, Mar Vista on the east, and Venice on the southeast. Santa Monica is home to executives and Hollywood celebrities amongst others and it is a mixture of affluent, single-family neighborhoods, renters, surfers, young professionals, and students. The Census Bureau 2010 population for Santa Monica is 89,736. Santa Monica is named after Saint Monica of Hippo, from a former, turn-of-the-19th-century name for Kuruvungna Springs, now on the SE corner of the campus of University High School at Barrington and Ohio, a short distance from the eastern border of Santa Monica. The Portola Expedition visited Kuruvungna on August 3–4, 1769. Father Crespi renamed the Springs "San Gregorio", but the expedition soldiers called them "El Berrendo" after a deer they wounded there. Later, the pair of springs began to be called "The Tears of Santa Monica" by locals because they brought to mind the weeping eyes of the saint as she cried for her erring son. The first official record of Santa Monica as a place name was on a 1827 grazing permit and then again the following year on the record of the grant for Rancho Boca de Santa Monica. The Santa Monica Looff Hippodrome (carousel) is a National Historic Landmark. It sits on the Santa Monica Pier, which was built in 1909. The La Monica Ballroom on the pier was once the largest ballroom in the US, and the source for many New Year's Eve national network broadcasts. The Santa Monica Civic Auditorium was an important music venue for several decades and hosted the Academy Awards in the 1960s. McCabe's Guitar Shop is still a leading acoustic performance space, as well as retail outlet. Bergamot Station is a city-owned art gallery compound that includes the Santa Monica Museum of Art. The city is also home to the California Heritage Museum and the Angels Attic dollhouse and toy museum. Santa Monica has three shopping districts, Montana Avenue on the north side of the city, the Downtown District in the city's core, and Main Street on the south end of the city. Each of these districts has its own unique feel and personality. Montana Avenue is a stretch of luxury boutique stores, restaurants, and small offices that generally features more upscale shopping. The Main Street district offers an eclectic mix of clothing, restaurants, and other specialty retail. Palisades Park stretches out along the crumbling bluffs overlooking the Pacific and is a favorite walking area to view the ocean. It features a camera obscura. For 48 years local churches and the Police Association assembled a 12-tableau story of Christmas in Palisades Park. The sheds were open on the street side, protected by chain-link fencing (for years there was no fencing because vandalism was not yet a large problem). Inside were dioramas of the Holy Family made from store mannequins; critics argued that many of them did not resemble real people, were damaged, or were otherwise inappropriate. In 2001 the city decided to temporarily end the practice of allowing private groups to place displays in city parks, but in 2004 the Christmas displays returned. Every fall the Santa Monica Chamber of Commerce hosts The Taste of Santa Monica on the Santa Monica Pier. Visitors can sample food and drinks from Santa Monica restaurants. Other annual events include the Business and Consumer Expo, Sustainable Quality Awards, Santa Monica Cares Health and Wellness Festival, and the State of the City. The city rests on a mostly flat slope that angles down towards Ocean Avenue and towards the south. High bluffs separate the north side of the city from the beaches. 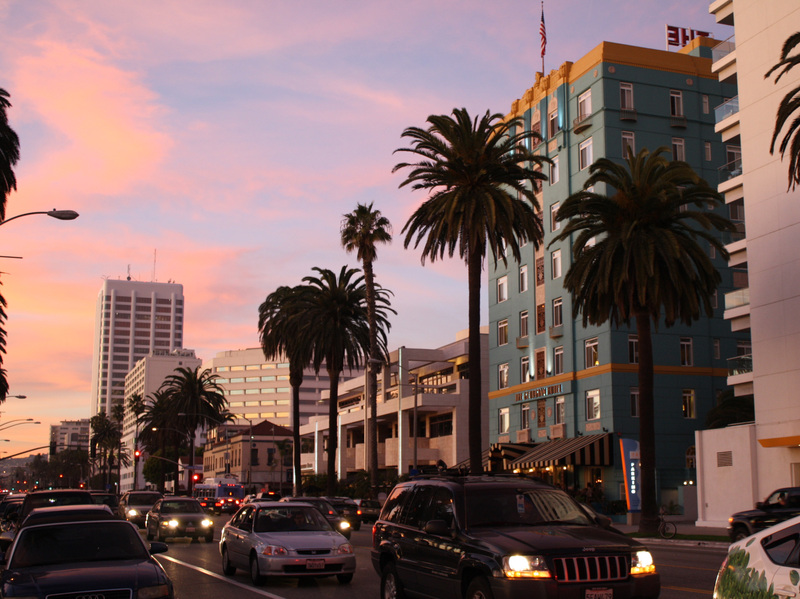 Wilshire Boulevard in Downtown Santa Monica at twilight. Classified as a moderate Mediterranean climate (Koppen Csb), Santa Monica enjoys an average of 310 days of sunshine a year. Because of its location, nestled on the vast and open Santa Monica Bay, morning fog is a common phenomenon in May, June and early July (caused by ocean temperature variations and currents). Locals have a particular terminology for this phenomenon: the "May Gray" and the "June Gloom". Overcast skies are common for June mornings, but usually the strong sun burns the fog off by noon. Nonetheless, it will sometimes stay cloudy and cool all day during June, even as other parts of the Los Angeles area enjoy sunny skies and warmer temperatures. At times, the sun can be shining east of 20th Street, while the beach area is overcast. As a general rule, the beach temperature is from 5 to 10 degrees Fahrenheit (3 to 6 degrees Celsius) cooler than it is inland. It is also in September that highest temperatures tend to be reached. It is winter, however, when the hot, dry winds of the Santa Anas are most common. In contrast, temperatures exceeding 10 degrees below average are rare. Santa Monica usually enjoys a cool breeze blowing in from the ocean, keeping the air fresh and clean. Therefore, smog is less of a problem for Santa Monica than elsewhere around Los Angeles. However, in the autumn months of September through November, the Santa Ana winds will sometimes blow from the east, bringing smoggy inland air to the beaches. The city is well known as one of the leading sustainable cities in all of the US. Three of every four of the city's public works vehicles run on alternative fuel, making it among the largest such fleets in the country. All public buildings use renewable energy. In the last 15 years, the city has cut greenhouse gas emissions by nearly 10%. City officials and residents have made the ongoing cleanup of the Santa Monica Bay a priority – an urban runoff facility catches 3.5 million US gallons (13,000 m3) of water each week that would otherwise flow into the bay. Other environmental features include miles of beaches, extensive curbside recycling, farmers' markets, community gardens, and the city's bus system. Santa Monica's population has grown from 417 in 1880 to 89,736 in 2010. For population statistics by decade, see History of Santa Monica, California. The 2010 United States Census reported that Santa Monica had a population of 89,736. The population density was 10,662.6 people per square mile (4,116.9/km²). The racial makeup of Santa Monica was 69,663 (77.6%) White, 3,526 (3.9%) African American, 338 (0.4%) Native American, 8,053 (9.0%) Asian, 124 (0.1%) Pacific Islander, 4,047 (4.5%) from other races, and 3,985 (4.4%) from two or more races. Hispanic or Latino of any race were 11,716 persons (13.1%). As of the census of 2000, there are 84,084 people, 44,497 households, and 16,775 families in the city. The population density is 10,178.7 inhabitants per square mile (3,930.4/km²). There are 47,863 housing units at an average density of 5,794.0 per square mile (2,237.3/km²). The racial makeup of the city is 78.29% White, 7.25% Asian, 3.78% African American, 0.47% Native American, 0.10% Pacific Islander, 5.97% from other races, and 4.13% from two or more races. 13.44% of the population are Hispanic or Latino of any race. There are 44,497 households, out of which 15.8% have children under the age of 18, 27.5% are married couples living together, 7.5% have a female householder with no husband present, and 62.3% are non-families. 51.2% of all households are made up of individuals and 10.6% have someone living alone who is 65 years of age or older. The average household size is 1.83 and the average family size is 2.80. The city of Santa Monica is consistently among the most educated cities in the United States, with 23.8 percent of all residents holding graduate degrees. The population is diverse in age, with 14.6% under 18, 6.1% from 18 to 24, 40.1% from 25 to 44, 24.8% from 45 to 64, and 14.4% 65 years or older. The median age is 39 years. For every 100 females, there are 93.0 males. For every 100 females age 18 and over, there are 91.3 males. According to a 2009 estimate, the median income for a household in the city is $71,095, and the median income for a family is $109,410 . Males have a median income of $55,689 versus $42,948 for females. The per capita income for the city is $42,874. 10.4% of the population and 5.4% of families are below the poverty line. Out of the total population, 9.9% of those under the age of 18 and 10.2% of those 65 and older are living below the poverty line. The district maintains two public middle schools in Santa Monica: John Adams Middle School and Lincoln Middle School. The district maintains two high schools in Santa Monica: Olympic High School and Santa Monica High School. Santa Monica College is a junior college originally founded in 1929. Many SMC graduates transfer to the University of California system. It occupies 35 acres (14 hectares) and enrolls 30,000 students annually. The Frederick S. Pardee RAND Graduate School, associated with the RAND Corporation, is the U.S.'s largest producer of public policy PhDs. The Art Institute of California — Los Angeles is also located in Santa Monica near the Santa Monica Airport. L.A. Leadership College, an online institution, for underprivileged young adults, is located in Santa Monica. Universities and colleges within a 22-mile (35 km) radius from Santa Monica include Santa Monica College, Loyola Marymount University, Mount St. Mary's College, Pepperdine University, California State University, Northridge, California State University, Los Angeles, UCLA, USC, West Los Angeles College, California Institute of Technology (Caltech), Los Angeles City College, Los Angeles Southwest College, and Los Angeles Valley College. The Santa Monica Public Library consists of a Main Library in the downtown area, plus three neighborhood branches: Fairview, Montana Avenue and Ocean Park. Santa Monica has received the Bicycle Friendly Community Award (Bronze) by the League of American Bicyclists in 2009. The distinction was mostly based on the local bicycle valet program. Local bicycle advocacy organizations include Bikerowave (moved to Mar Vista in 2009) and Santa Monica Spoke. Local police cracked down on Santa Monica Critical Mass rides in 2008 and effectively discontinued this flourishing tradition. Despite or perhaps as a result of Santa Monica's friendliness towards bicycles, Santa Monica ranks #3 for most bicycle accidents among California cities according to the California Office of Traffic Safety . The Santa Monica Freeway (Interstate 10) begins in Santa Monica near the Pacific Ocean and heads east. The Santa Monica Freeway between Santa Monica and downtown Los Angeles has the distinction of being one of the busiest highways in all of North America. After traversing Los Angeles County, I-10 crosses seven more states, terminating at Jacksonville, Florida. In Santa Monica, there is a road sign designating this route as the Christopher Columbus Transcontinental Highway. State Route 2 (Santa Monica Boulevard) begins in Santa Monica, barely grazing State Route 1 at Lincoln Boulevard, and continues northeast across Los Angeles County, through the Angeles National Forest, crossing the San Gabriel Mountains as the Angeles Crest Highway, ending in Wrightwood. Santa Monica is also the western (Pacific) terminus of historic U.S. Route 66. Close to the eastern boundary of Santa Monica, Sepulveda Boulevard reaches from Long Beach at the south, to the northern end of the San Fernando Valley. Just east of Santa Monica is Interstate 405, the "San Diego Freeway", a major north-south route in Los Angeles County and Orange County, California. The City of Santa Monica has purchased the first ZeroTruck all-electric medium-duty truck. The vehicle will be equipped with a Scelzi utility body, it is based on the Isuzu N series chassis, a UQM PowerPhase 100 advanced electric motor and is the only US built electric truck offered for sale in the United States in 2009. 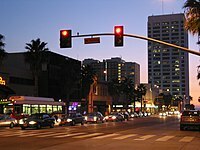 The city of Santa Monica runs its own bus service, the Big Blue Bus, which also serves much of West Los Angeles and the University of California, Los Angeles (UCLA). A Big Blue Bus was featured prominently in the action movie Speed. The city of Santa Monica is also served by the Los Angeles County Metropolitan Transportation Authority's bus lines. Metro also complements Big Blue service, as when Big Blue routes are not operational overnight, Metro buses make many Big Blue Bus stops, in addition to MTA stops. It currently has no rail service but Metro is working on bringing light rail to Santa Monica in the form of the Exposition Line. Since the mid-1980s, various proposals have been made to extend the Purple Line subway to Santa Monica under Wilshire Boulevard. However, to this day, no plans to complete the "subway to the sea" are imminent, owing to the difficulty of funding the estimated $5 billion project. In the past, Santa Monica had rail service operated by the Pacific Electric Railway, until it was dismantled in the 1960s. The city owns and operates a general aviation airport, Santa Monica Airport, which has been the site of several important aviation achievements. Commercial flights are available for residents at Los Angeles International Airport, a few miles south of Santa Monica. Like other cities in Los Angeles County, Santa Monica is dependent upon the Port of Long Beach and the Port of Los Angeles for international ship cargo. In the 1890s, Santa Monica was once in competition with Wilmington, California, and San Pedro for recognition as the "Port of Los Angeles" (see History of Santa Monica, California). Two major hospitals are within the Santa Monica city limits, UCLA Santa Monica Hospital and St. John's Hospital. There are four fire stations providing medical and fire response within the city staffed with 6 Paramedic Engines, 1 Truck company, 1 Hazardous Materials team and 1 Urban Search & Rescue team. Santa Monica Fire Department has its own Dispatch Center. Ambulance transportation is provided by AmeriCare Ambulance Services. The Los Angeles County Department of Health Services operates the Simms/Mann Health and Wellness Center in Santa Monica. The Department's West Area Health Office is in the Simms/Mann Center. The Santa Monica City Council, a Council-Manager form of government, with seven Council members elected at-large, is the current governing body of the city. The current mayor is Pam O'Connor. 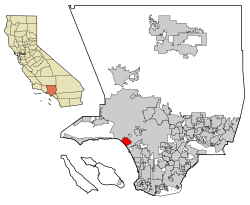 In the state legislature Santa Monica is located in the 26th California State Senate District, represented by Democrat Ted Lieu, and in the 50th California State Assembly district, represented by Democrat Richard Bloom. Federally, Santa Monica is located in California's 33rd congressional district, which is represented by Democrat Henry Waxman. Santa Monica is home to the headquarters of many notable businesses, including Universal Music Group, Lionsgate Films, the RAND Corporation, Beachbody, Macerich, COR Capital LLC, Entravision Communications, Demand Media, Anworth Mortgage, search engine company Business.com, and film / television production company and record label The Playtone Company, headed by actor Tom Hanks and producer Gary Goetzman. 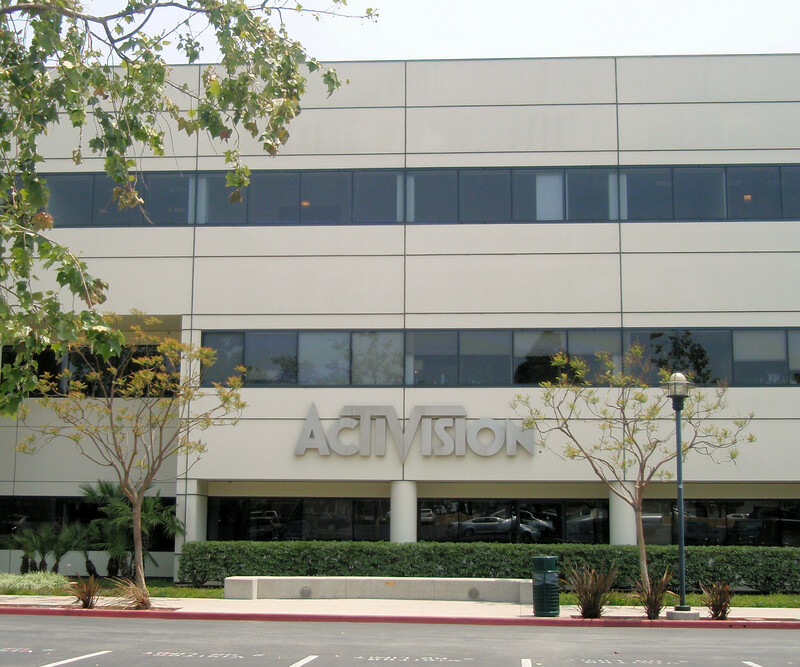 Major companies with branch offices in Santa Monica include: Microsoft, Yahoo!, MTV and Edmunds.com. The Design Center California for Volkswagen, formerly located in Simi Valley, moved to the former site of the Museum Of Flying at the Santa Monica Airport in 2006. Volkswagen's only styling studio in North America has been responsible for many notable automotive designs, including The New Beetle and The Audi Road Jet concept seen at the Detroit Car Show. The offices for the Comedy Central show South Park are located in Santa Monica. Supermarine, now Atlantic Aviation, is at the Santa Monica Airport. National Public Radio member station KCRW is located at the Santa Monica College campus. Riot Games, the creators of League of Legends. Fatburger's headquarters are in Santa Monica. TOMS Shoes has its headquarters in Santa Monica. Former Santa Monica businesses include Douglas Aircraft (now merged with Boeing), MySpace (now headquartered in Beverly Hills), and Metro-Goldwyn-Mayer. In December 1996, GeoCities was headquartered on the third floor of 1918 Main Street in Santa Monica. In 2006, crime in Santa Monica affected 4.41% of the population, slightly lower than the national average crime rate that year of 4.48%. The majority of this was property crime, which affected 3.74% of Santa Monica's population in 2006; this was higher than the rates for Los Angeles County (2.76%) and California (3.17%), but lower than the national average (3.91%). These per-capita crime rates are computed based on Santa Monica's full-time population of about 85,000. However, the Santa Monica Police Department has suggested the actual per-capita crime rate is much lower, as tourists, workers, and beachgoers can increase the city's daytime population to between 250,000 and 450,000 people. Violent crimes affected 0.67% of the population in Santa Monica in 2006, in line with Los Angeles County (0.65%), but higher than the averages for California (0.53%) and the nation (0.55%). Hate crime has typically been minimal in Santa Monica, with only one reported incident in 2007. However, the city experienced a spike of anti-Islamic hate crime in 2001, following the attacks of September 11. Hate crime levels returned to their minimal 2000 levels by 2002. In 2006, Santa Monica voters passed "Measure Y" with a 65% majority, which moved the issuance of citations for marijuana smoking to the bottom of the police priority list. A 2009 study by the Santa Monica Daily Press showed that since the law took effect in 2007, the Santa Monica Police had "not issued any citations for offenses involving the adult, personal use of marijuana inside private residences." In June 2011, the infamous Boston gangster Whitey Bulger was arrested in Santa Monica after being a fugitive for 16 years. He had been living in the area for 15 years. The Pico neighborhood of Santa Monica (south of the Santa Monica Freeway) experiences some gang activity. The city estimates that there are about 50 gang members based in Santa Monica, although some community organizers dispute this claim. Gang activity has been prevalent for decades in the Pico neighborhood. In October 1998, alleged Culver City 13 gang member Omar Sevilla, 21, of Culver City was killed. A couple of hours after the shooting of Sevilla, German tourist Horst Fietze was killed. Several days later Juan Martin Campos, age 23, a Santa Monica City employer and former gang member was shot and killed. Police believe this was a retaliatory killing in response to the death of Omar Sevilla. Less than twenty-four hours later, Javier Cruz was wounded in a drive-by shooting outside his home on 17th and Michigan. In 1999, there was a double homicide in the Westside Clothing store on Lincoln Boulevard. During the incident, Culver City gang members David "Puppet" Robles and Jesse "Psycho" Garcia entered the store masked and began opening fire, killing Anthony and Michael Juarez. They then ran outside to a getaway vehicle driven by a third Culver City gang member, who is now also in custody. The clothing store was believed to be a local hang out for Santa Monica gang members. The dead included two men from Northern California who had merely been visiting the store's owner, their cousin, to see if they could open a similar store in their area. Police say the incident was in retaliation for a shooting committed by the Santa Monica 13 gang days before the Juarez brothers were gunned down. Aside from the rivalry with the Culver City gang, gang members also feud with the Venice and West Los Angeles gangs. The main rivals in these regions include Venice 13, Graveyard Gangster Crips, and Venice Shoreline Crips gangs located in the Oakwood area of Venice, California. Hundreds of movies have been shot or set in part within the city of Santa Monica. One of the oldest exterior shots in Santa Monica is Buster Keaton's Spite Marriage (1929) which shows much of 2nd Street. The comedy It's a Mad, Mad, Mad, Mad World (1963) included several scenes shot in Santa Monica, including those along California Incline, which led to the movie's treasure spot, "The Big W". The Sylvester Stallone film Rocky III (1982) shows Rocky Balboa and Apollo Creed training to fight Clubber Lang by running on the Santa Monica Beach, and Stallone's Demolition Man (1993) includes Santa Monica settings. Henry Jaglom's indie Someone to Love (1987), the last film in which Orson Welles appeared, takes place in Santa Monica's venerable Mayfair Theatre. Heathers (1989) used Santa Monica's John Adams Middle School for many exterior shots. The Truth About Cats & Dogs (1996) is set entirely in Santa Monica, particularly the Palisades Park area, and features a radio station that resembles KCRW at Santa Monica College. 17 Again (2009) was shot at Samohi. Other films that show significant exterior shots Santa Monica include Fletch (1985), Species (1995),Get Shorty (1995), and Ocean's Eleven (2001). The city of Santa Monica (and in particular the Santa Monica Airport) was featured in Roland Emmerich's disaster film 2012 (2009). A magnitude 10.9 earthquake destroys the airport and the surrounding area as a group of survivors escape in a personal plane. It also showed the Santa Monica Pier and the whole city sinking into the Pacific Ocean after the earthquake. The alien invasion film Battle: Los Angeles (2011) also takes part in the city of Santa Monica. Raymond Chandler's most famous character, private detective Philip Marlowe, frequently has a portion of his adventures in a place called "Bay City", which is modeled on depression-era Santa Monica. In Marlowe's world, Bay City is "a wide-open town", where gambling and other crimes thrive due to a massively corrupt and ineffective police force. The setting on a certain portion of Mitch Albom's book, The Five People You Meet in Heaven, has similarities to the Pacific Pier located along the Santa Monica beach. In the book, it is named Ruby Pier. Mitch Albom even acknowledged the Pacific Pier for its cooperation. The main character from Edgar Rice Burroughs' The Land That Time Forgot (novel) was a shipbuilder from Santa Monica. In Al Capone Does My Shirts, the Flanagans move to Alcatraz from Santa Monica. Tennessee Williams lived (while working at MGM Studios) in a hotel on Ocean Avenue in the 1940s. At that location he wrote The Glass Menagerie. His short story titled The Mattress by the Tomato Patch was set near Santa Monica Beach, and mentions the clock visible in much of the city, high up on The Broadway Building, on Broadway near 2nd Street. Also featured in Rick Riordains "Percy Jackson" Novels, specifically the Santa Monica pier. Universal Music Group is based in Santa Monica. Several of its labels such as Aftermath Entertainment (started by Dr. Dre), Interscope (started by Jimmy Iovine), A&M Records, Geffen Records, Shady Records,and G-Unit Records (created by 50 Cent & Sha Money XL) are based in Santa Monica, CA. In 1968, British singer-songwriter Noel Harrison released a song and album titled Santa Monica Pier. In 1948, bandleader Kay Kyser released a 78 record of the novelty song "When Veronica Plays the Harmonica (Down at the Pier in Santa Monica)." Santa Monica is featured in the video games True Crime: Streets of LA (2003), Vampire: The Masquerade – Bloodlines (2004), Grand Theft Auto San Andreas (2004), Destroy All Humans! (2004), Tony Hawk's American Wasteland (2005), Midnight Club: Los Angeles (2008), and Cars Race-O-Rama (2009). ^ Martha Groves, Hopes high for low-profile mall, Los Angeles Times, March 5, 2007. ^ Ben Tracy (February 18, 2009). "Santa Monica's Disputed Steps". CBS News TV report. http://www.cbsnews.com/video/watch/?id=4811826n. Retrieved February 24, 2010. ^ "Weatherbase: Historical Weather for Los Angeles, California, United States of America". Weatherbase.com. http://www.weatherbase.com/weather/weather.php3?s=159227&refer=. Retrieved 2009-08-13. ^ "Santa Barbara.com: June Gloom". SantaBarbara.com. http://www.santabarbara.com/community/weather/junegloom.asp. Retrieved 2009-08-13. ^ "NCDC: U.S. Climate Normals". National Oceanic and Atmospheric Administration. http://cdo.ncdc.noaa.gov/climatenormals/clim20/ca/047953.pdf. ^ "The greenest US cities". City Mayors. 2006-04-27. http://www.citymayors.com/environment/us_greencities.html. Retrieved 2012-06-13. ^ "Environmental Programs Division (EPD) – City of Santa Monica". Smgov.net. http://www.smgov.net/departments/ose/. Retrieved 2012-06-13. ^ "Santa Monica, California". City-Data.com. http://www.city-data.com/city/Santa-Monica-California.html. Retrieved 2012-06-13. ^ "CNN Money – 25 Most Educated Cities". Money.cnn.com. http://money.cnn.com/magazines/moneymag/bplive/2006/top25s/educated.html. Retrieved 2012-06-13. ^ "Santa Monica city, California – Fact Sheet – American FactFinder". Factfinder.census.gov. http://factfinder2.census.gov/faces/nav/jsf/pages/index.xhtml. Retrieved 2012-06-13. ^ "." Santa Monica Alternative School House Curriculum, SMASH Vision Statement. Retrieved on May 11, 2011. ^ a b c "." SMMUSD. Retrieved on May 11, 2011. ^ "Saint Anne School". Saint Anne School. http://www.saintanneschool.com. Retrieved 2012-06-13. ^ "Santa Monica Introduces Electric Zero Truck Into City Fleet: #evworld". Evworld.com. 2009-06-21. http://evworld.com/news.cfm?newsid=21244. Retrieved 2012-06-13. ^ "Ambulance Transportation". Santa Monica Fire Department. Santa Monica Fire Department. http://santamonicafire.org/Content.aspx?id=11372. Retrieved 2012-06-13. ^ "Simms/Mann Health and Wellness Center." Los Angeles County Department of Health Services. Retrieved on March 17, 2010. ^ "SPA5 – West Area Health Office." Los Angeles County Department of Health Services. Retrieved on March 18, 2010. ^ "INVESTOR RELATIONS CONTACT." Lions Gate Films. Retrieved on November 3, 2009. ^ "COR Capital LLC". corcapitalllc. p. 1. Archived from the original on 3 January 2012. http://www.corfunds.com/. Retrieved 16 April 2012. ^ Ericksen, Olin. "Airport Commission Gives New Operator Thumbs Up, Despite Fears Jet Traffic Will Rise". The Lookout. http://www.surfsantamonica.com/ssm_site/the_lookout/news/News-2007/March-2007/03_29_07_Airport_Commission_Gives_New_Operator_Thumbs_Up.htm. Retrieved 2012-06-13. ^ "Contact." Fatburger. Retrieved on March 5, 2010. ^ "Corporate Information." Metro-Goldwyn-Mayer. October 6, 2000. Retrieved on February 6, 2012. "Corporate Headquarters Metro-Goldwyn-Mayer Inc. 2500 Broadway Street Santa Monica, CA 90404-3061"
^ "Advertising and Sponsorship Information." GeoCities. December 19, 1996. Retrieved on April 30, 2009. ^ "City of Santa Monica CAFR". 1.smgov.net. http://www.santa-monica.org/uploadedFiles/Departments/Finance/Comprehensive_Annual_Financial_Reports/FINAL%20-%20CAFR%2010-11%20%28for%20web%29.pdf. Retrieved 2012-09-02. ^ a b "Santa Monica CA Crime Statistics (2006 Crime Data)". http://santamonica.areaconnect.com/crime1.htm. Retrieved 25 August 2009. ^ a b "Crime Statistics for Santa Monica". http://www.trulia.com/real_estate/Santa_Monica-California/community-info/. Retrieved 25 August 2009. ^ Schley, Reeve T. (September 25, 2002). "Santa Monica Crime Rate Is Highest in Los Angeles County". Santa Monica Mirror. http://www.smmirror.com/volume4/issue15/santa_monica_crime.asp. Retrieved August 25, 2009. ^ "Sustainable City Progress Report". http://www.smgov.net/Departments/OSE/categories/contentFullPage.aspx?id=6261. Retrieved 25 August 2009. ^ "Measure Y: Lowest Enforcement Priority for Adult, Personal Use of Marijuana City of Santa Monica". http://www.smartvoter.org/2006/11/07/ca/la/meas/Y/. Retrieved 25 August 2009. ^ Emma Trotter (July 31, 2009). "Two years of toking it up". Santa Monica Daily Press. http://www.smdp.com/Articles-c-2009-07-31-61013.113116_Two_years_of_toking_it_up_.html. Retrieved August 25, 2009. ^ "Police Chief Calls for Regional Approach to Gang Violence". Surfsantamonica.com. http://www.surfsantamonica.com/ssm_site/the_lookout/news/News-2006/March-2006/03_16_06_Police_Chief_Calls_for_Regional_Approach.htm. Retrieved 2012-06-13. ^ By DON TERRYPublished: October 20, 1998 (1998-10-20). "Death of gangster Omar Sevilla". New York Times. http://query.nytimes.com/gst/fullpage.html?sec=travel&res=9500E2DA143DF933A15753C1A96E958260. Retrieved 2012-06-13. ^ "NBC Los Angeles report on the capture of Fietze's killer". Nbclosangeles.com. http://www.nbclosangeles.com/news/local/Tourist-Murder-Fugitive-Captured-in-Jamaica.html. Retrieved 2012-06-13. ^ "Gang Bullets Pierce Santa Monica's Image". Articles.latimes.com. 1998-10-29. http://articles.latimes.com/1998/oct/29/news/mn-37325. Retrieved 2012-06-13. ^ "Violence in Pico". Surfsantamonica.com. http://www.surfsantamonica.com/ssm_site/the_lookout/news/News-2004/Dec-2004/12_07_04_Youth_and_Street_Violence.htm. Retrieved 2012-06-13. ^ "Police Chief to Address Public Safety Concerns". Los Angeles Times. October 21, 1998. http://articles.latimes.com/1998/oct/21/local/me-34672. Retrieved September 22, 2011. ^ "'Gangster's Paradise Lost'". Streetgangs.com. 1998-10-27. http://www.streetgangs.com/topics/2003/110603PARA.HTML. Retrieved 2012-06-13. ^ 1984 Summer Olympics official report. Volume 1. Part 1. pp. 97–98. ^ Various authors, "Sets and Locations", The Ultimate Buffy and Angel Trivia Guide (updated 2007). ^ Hiney, Tom (1999). Raymond Chandler. Grove Press. p. 92. ISBN 0-8021-3637-0, 9780802136374. ^ Steve Harvey, "Only in L.A.", Los Angeles Times, February 9, 1990. ^ YouTube video of recording, "When Veronica Plays the Harmonica", Kay Kyser. ^ "System Of A Down - Lost In Hollywood Lyrics". Metrolyrics.com. http://www.metrolyrics.com/lost-in-hollywood-lyrics-system-of-a-down.html. Retrieved 2012-06-13. This page uses content from the English language Wikipedia. The original content was at Santa Monica, California. The list of authors can be seen in the page history. As with this Familypedia wiki, the content of Wikipedia is available under the Creative Commons License.